You are listening to trinity employments, eight player Matchmaker Staffing Agency Tulsa podcast starring your host and the cofounder of Trinity Employment Specialists, Cory Minter. Hi, welcome back to the a player matchmakers. I’m here with Ethan May and we are always trying to look for different ways within this content of this podcast to add value to job seekers and employers. The PR, the title of this podcast is characteristics of great teams. So if you are an employee, you are going to want to look for this while you were interviewing. I promise you, you can find out a whole lot by the questions that you ask. And if you are an employer, this is the key to creating a great company. Um, we, uh, you can see all of the content that we have for this podcast on our website. Um, and we’re going to be moving to iTunes soon. Um, so we’re, we’ll be a lot more, um, visible. However, if you know of someone that’s interested in content like this, if they’re interviewing and such, we would love to have them as a viewer to this. And you and I talked about this long time ago in other Staffing Agency Tulsa podcasts. Yeah. You haven’t really ever worked on a bad team on unknown. I know the guy real well that you worked with before because he’s the one that referred you to us. Yeah. But you’ve never really worked on a bad team. It’s, no, no, no, no, no. I mean, I’ve worked on teams that have had like little, you know, here and there you get someone who’s, you know, not the best, but, um, but yeah, not a terrible team. I’ve, I’ve always had great bosses, great supervisors, great teammates, and so a critical workers. And so I’ve never really had a huge issue with it. But will, the reason that most employers are, are interested in this and pro and employees as well is because most people, Ethan are not like you at all. They have worked on some teams that were really toxic. Please give us your ideas. Because a lot of times the best new game changer idea for a company, likely it’s not going to come from the people from your veterans. It’s going to come from your Niva. T is actually your friend. And so Carrie, you have to create that culture as a manager. Oh sure. And, and being able to, you create the culture where the employee feels okay doing that. I remember there was one time I was in your office and I was frustrated about something and I tried to explain how this process didn’t make sense and we shouldn’t be doing it this way and you very kindly told me, I appreciate what you’re saying, but um, not to be demeaning but you don’t know what you’re talking about. And, and um, it was a lot nicer than that but we talked through and you’re like, sounded pretty me know, you know, you don’t know what you’re talking about and it’s because you’ve been here for three months, you know, you’ve been recruiting for three months. Did you know this? No, I didn’t. They created, they created Kodak. I thought you said coat hack. Hello. Super confused. I was like, what are you talking about? Kodak. Oh yeah. If the listeners heard Kotek I meant to say Kodak. And they created the digital photograph and their, their president at the time said, no, that is, that is just, that is a waste of time. Go sell that. And they went and sold it, I believe, to IBM. And, and that, that, that was that poor Staffing Agency Tulsa decision that was kind of detrimental to them. Let’s, let’s move on. Um, uh, they focus on goals and results. And so great teams have the ability to focus on goals and results. One of the things is they need to know what their goals are and every week they need to know what the results are. And, um, you have to do that through meetings and through collecting data. And, um, and I learned that a long time ago from one of my mentors. Um, number seven there organized, you’ve got to stay organized. You’ve got to be organized. You’ve got a heart. People who find organizational abilities to be important. This is something that is trained. So if you have someone that does not understand this and they’re not, it’s not a natural gifting of theirs, but you can see gifting in other ways. Listen to me, you can put good information in front of them. If they’re open, they can learn it. They can become an a player in organization despite their, their natural tendencies. You can absolutely learn that. Ethan and I know it’s so helpful as well. 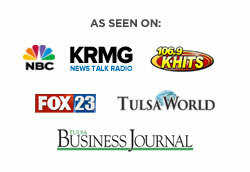 I mean, we’ve got a, we’ve got a client that we’re representing as a Staffing Agency Tulsa right now. They’ve got about five different positions they need. We’ve been really grinding and working our butts off to get it. I’ve sent them probably six or seven people and I’ve yet to hear back. And when I follow up it’s always, oh yeah, I passed that off to so and so. And then I reached out to them, they don’t answer and then their secretary gets back and says, oh no, we passed it off to sound. So they, all of these positions they need hired and they’ve got candidates sitting in their inbox, but there’s not organized enough to figure it out. That’s important to the company as well. Yeah, absolutely. The last thing, um, is that you need to pay attention to as a leader and as an employee, a potential employee. Do they have fun? Do they have fun? You can see it. You can ask them. I think that’s a great question. We just did a segment about, um, about, uh, questions to ask her an interview.